I recently spent a day instore at Jaycotts finding out from owners of this wonderful machine just what it is that excites them so much. What became obvious very quickly was the tremendous amount of enthusiasm and passion for this machine shown by both owners and staff, so I had to find out more! 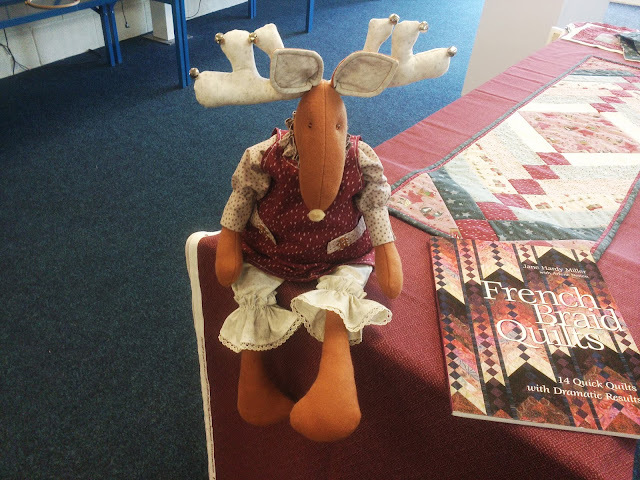 All Ann needs to do is to simply touch the screen to edit stitches, customise the settings, change to one of 13 built in languages and set the clock. She also loves the on screen video tutorials and built in tutorials and help guides which recommend the perfect settings for her project. Another feature which she loves is the lighting. 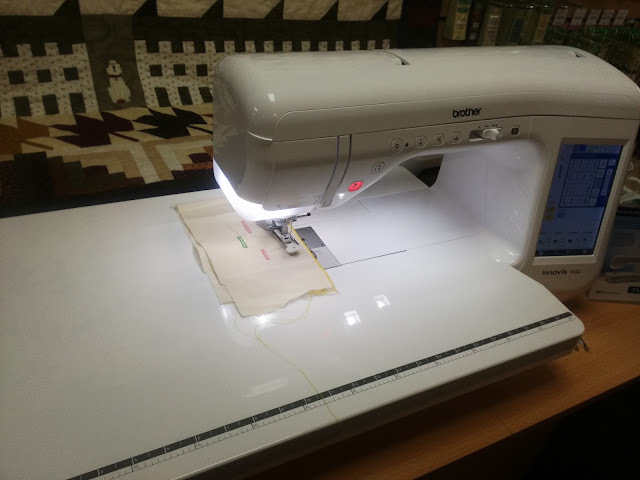 This machine has ultra-bright LED lighting giving a crisp natural light, it is also adjustable, so it can turned down or brighter as you require .The lighting is not just in the needle area as usual though - this machine goes better than that as the whole arm area is illuminated. As soon as Elaine saw the VQ2 she knew instantly that she had to have it. She loves the way the fabric is fed through easily which was instantly apparent when she went for her demonstration. Elaine recommends that when doing free motion quilting you practise first on a small sandwich of your quilting fabric, wadding and backing until you are happy with the effect you want to create. The VQ2 has something called ICAPS, which is the fabric sensor. This senses the thickness of the fabric and adjusts automatically. Please note that when your machine is delivered this is in the OFF position so you need to turn it on before use. This system helps to ensure a consistent stitch length on all fabric thicknesses because it keeps the presser foot pressure consistent even when sewing over bulky seams - jeans for example. If you have ever hemmed a pair of jeans you will know how difficult it is to keep the stitching even when crossing a seam, this machine eliminates that problem, but dont just think jeans; curtains, home accessories, wool coats all can have very bulky seams so this machine comes into its own no matter what you are working on. The VQ2 has a stunning 473 built in stitches.including 14 styles of buttonholes, extra wide decorative stitches (up to 40mm wide) crazy quilting and much more. Another feature loved by the group is that the machine has a totally separate bobbin winder so that you are able to wind a bobbin whilst the machine is in use. It is actually a bit more than that because the machine has two motors, one for sewing and a separate one for the bobbin winder so it is is easy to use both at the same time. This is the delightful Vivienne holding one of her inspiring quilts.Vivienne's only regret is that she didn't get a VQ2 sooner! There are certain features which are vital to quilters and this machine has all of them. It comes with a range of standard accessory feet all neatly stored in an accessory compartment in the machine itself, so everything is conveniently at hand. Two of the feet are the free-motion open toe quilting foot and a 1/4" quilting foot with guide.Vivienne explained that because it is so easy to program the seam width accurately she can concentrate on the design without worrying that her seam width might not be the perfect 1/4"
Another feature which is indispensable is the large sewing table. This does not come as standard with the machine, it needs to be purchased separately, but comes highly recommended by everybody. Another popular feature loved by all our quilters and sewers is the Lockstitch key. At the touch of a button stitches are secured at the beginning and end of a seam and the loose threads cut. A lockstitch is an automatic securing stitch, so at the beginning and end of a seam it will sew three back stitches before moving forwards to complete the seam. There is also the option of a spot lockstitch which sews three stitches on the same spot. This has a lot of applications for example securing darts, pleats, top stitching and many more. As you can see the quilt is highlighted by the LED lighting and the large table supports the weight of the quilt so that you do not have to struggle to manage a weighty project. 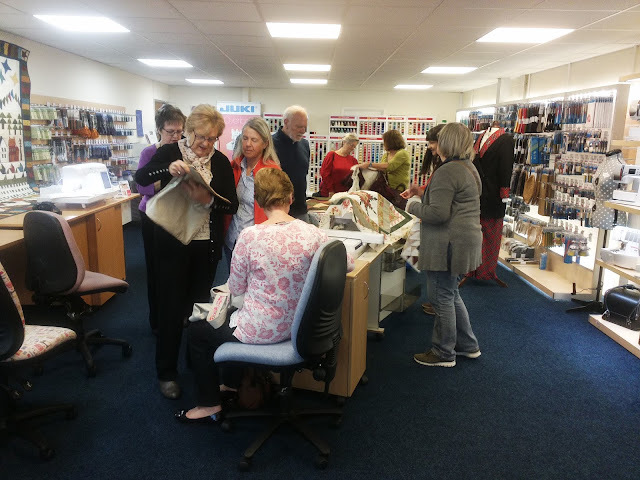 If when you are sewing you come to a part where you need to slow the machine down, that too is very simple, there is a slide speed control conveniently situated in the centre of the machine where you can adjust the speed whilst you are sewing. This is John from Jaycotts and he is fitting a motor-driven walking foot. This is actually an advanced dual-purpose drive foot which allows you to sew an incredible array of fabrics with ease. This again comes as an extra but is highly recommended. This foot is unlike any other walking foot because it is belt driven which makes it far more efficient and effortless. It allows you to sew multiple layers with complete ease, and handles varying weights of fabrics effortlessly. It can sew different weights of fabrics together without the top layer stretching out of shape as often happens no matter how secure your tacking stitches are. This is a quilt by Flo in the process of being made . Another "nice to have" accessory is the open toe dual feed foot. This has all the functionality of the dual feed foot included with the added advantage of providing extra visibility to your project if required. 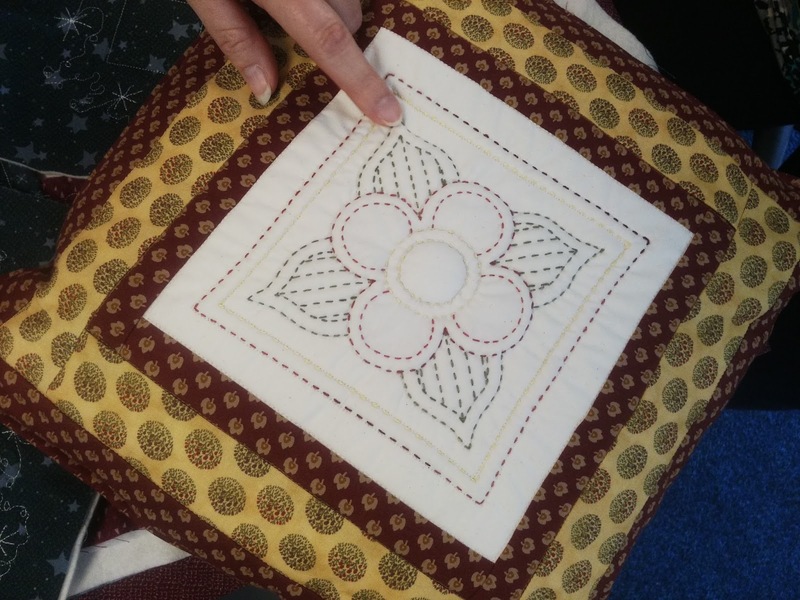 It features a large opening to accommodate a wide range of left and right needle positions. Diane came into store to look at a different machine but John from Jaycotts offered her a demo of the VQ2 and she instantly fell in love with it.She loves hers because the manual and sewing guides are so easy to follow and she finds that she is learning something new every day. She finds it easy to thread and its not surprising because it has automatic electronic needle threading at the touch of a button! So there is absolutely no need to struggle threading the needle - the machine does it for you. 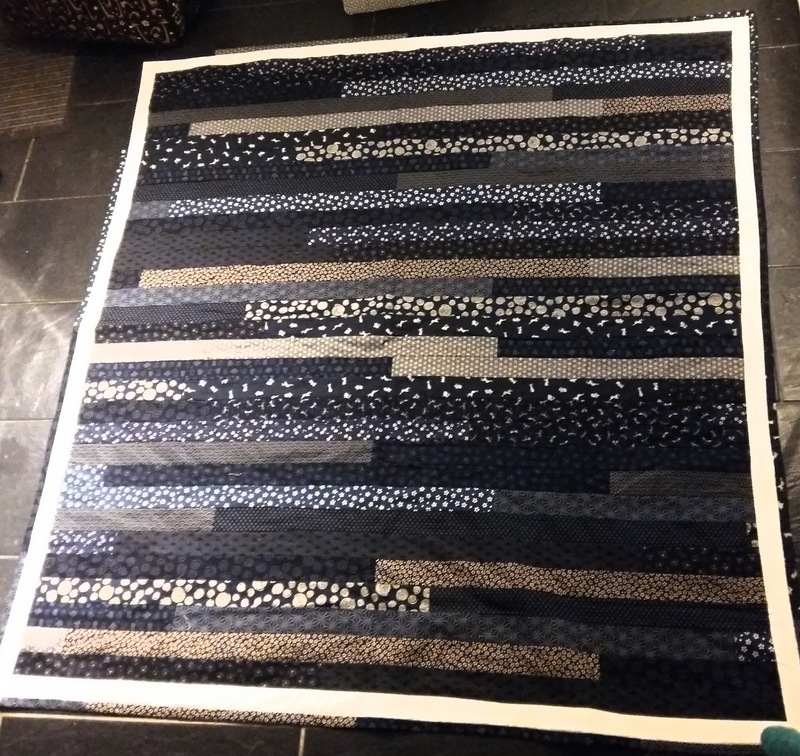 Another feature which she loves is the extra long arm (11 1/4") which gives her all the space she needs for extra large quilting, clothing and home accessory projects. She loves the basting (tacking) stitch too which I must admit grabbed my attention. The stitches pull out easily just as in hand basting. This is one of the beautiful Historical Costumes made by Diane, showing the versatility of the machine. Jan was inspired by India to make this Ganesh cushion cover, creating the embroidery on her brother Innov-is V5 which is an embroidery machine. 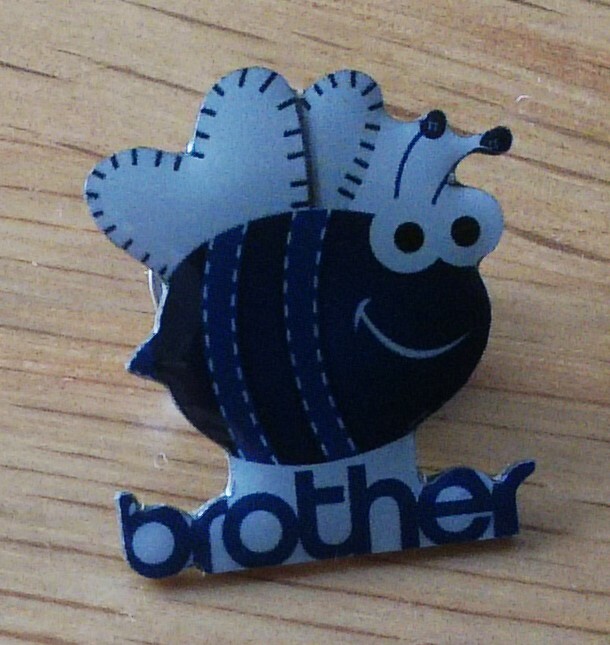 She also owns a brother coverstitch machine and produces excellent results with it. 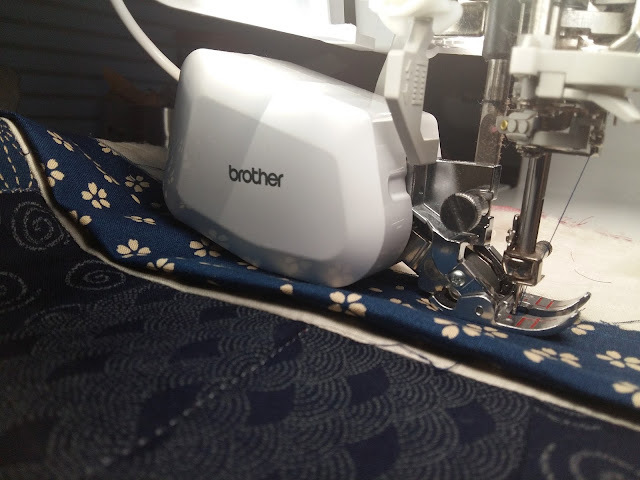 Jan has use the Brother aftercare in Jaycotts which is free to customers who have purchased their machine from them. She highly recommends the sessions because she always learns something new and goes away with lots of fresh ideas. These days are also invaluable for those who would like extra information or tuition. Verona has this to say about her machine "Thinking about it and why I love it, it is so clever.The threading is so quick and easy. I particularly like the basting stitch as I make period costume, and because they are flat-lined it used to take ages to hand baste the lining to the fabric before the gown is sewn together. Now i whizz around the pieces in minutes." The Pivot function is something which everybody mentioned because the presser foot automatically lifts as the needle remains lowered for fast and easy fabric manipulation. "Quilting on the machine is a dream with the long arm but also with the extension table there is so much room to move the quilt around "
"I have loads of exciting ideas bubbling around in my head, this machine is so inspirational"
Verona belongs to a group called Heritage Costumes .There are four ladies who make the costumes using Brother machines from Jaycotts. There are nine members in all who dress in period costume and give interactive, fun and very informative talks.Watch out for more about them next year. The fact that this machine is used to make such beautiful historically correct garments is proof of its versatility wouldn't you agree. 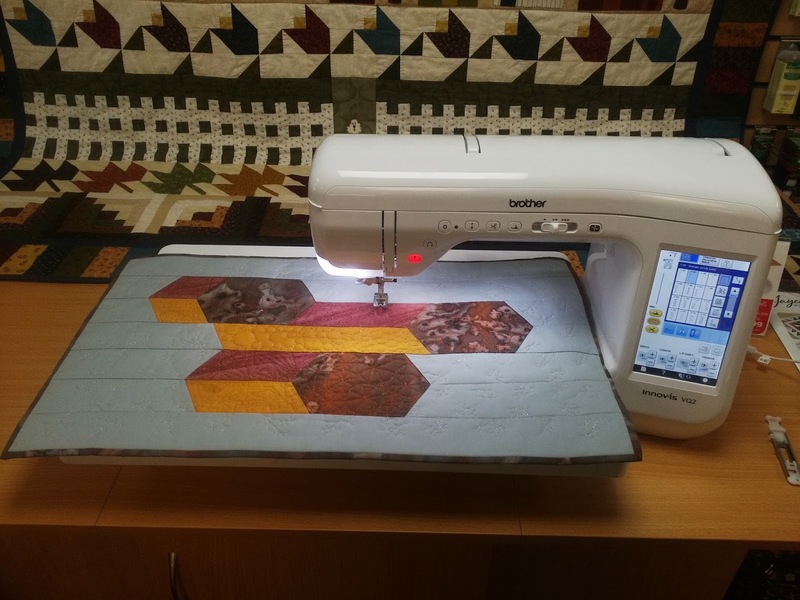 "A main reason for buying the VQ2 as a Quilter is the harp/right of needle space. It is both wide and deep, necessary for quilting king size quilts which I have struggled to do at home with a smaller harp space. I have also found as each sewing project requires a new skill to be mastered, the VQ2 has ease of use second to none. This makes each achievement doubly confidence boosting and encourages the next new skill to be tried. 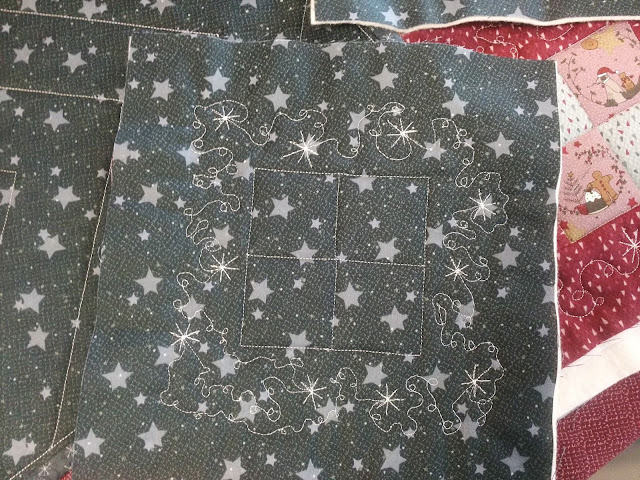 The huge array of stunning decorative stitches simply spoils me for choice, it is like having jewels. The 'toys are enabling embellishments I have simply not been able to make before as sewing machine technology was not so so sophisticated or affordable . 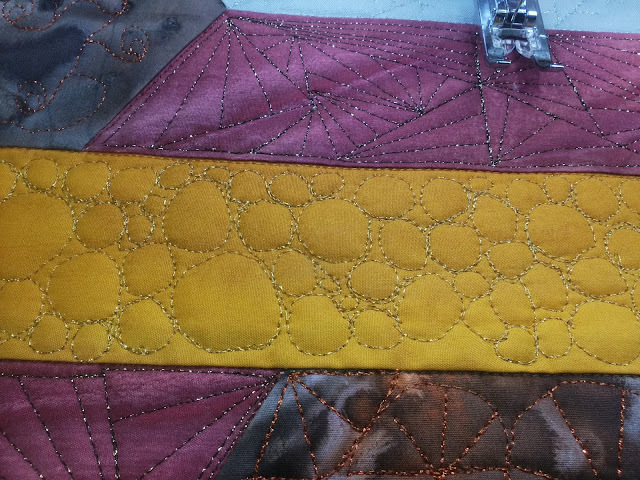 I was amazed at the ease of the Couching, however I was overjoyed at the Free Motion with Metallic thread !! (I used Madeira textured from Jaycotts ) on the Brother King Spool Thread stand. Used in conjunction with a Titanium needle I found success. 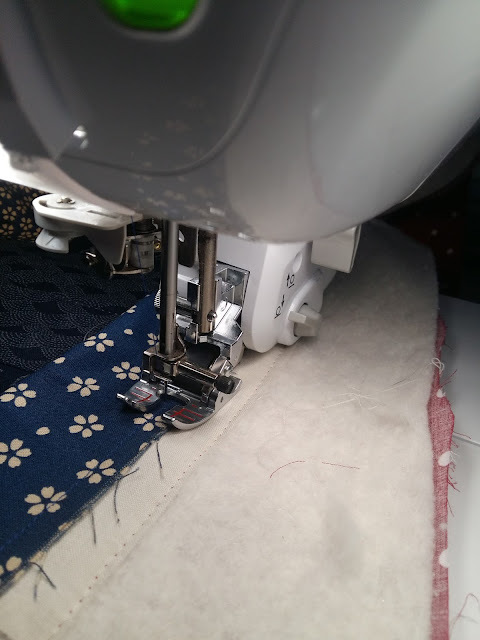 Metallic thread does require slower sewing speed but with the VQ2 I found the smoothness of foot control with the Multi Function Foot Controller and the response of the speed controller on the VQ2 enabled the perfect balance. 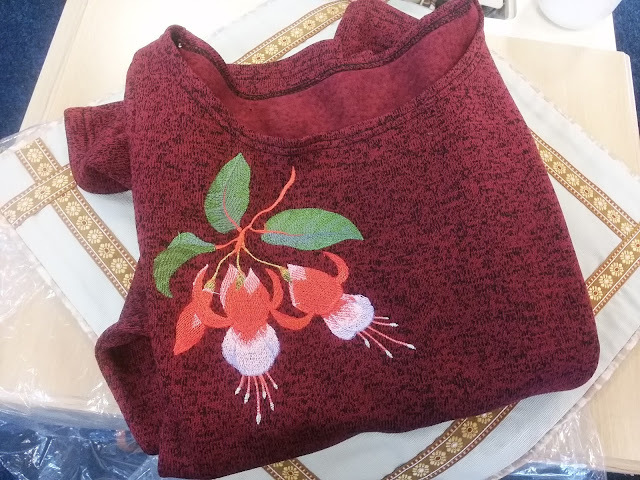 Now I simply need to practice to improve"
This is a fine example of some free motion stitching. 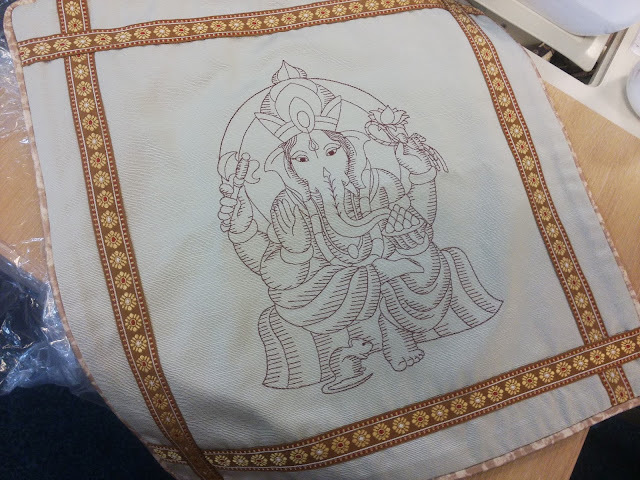 Now, some machines cannot cope with metallic thread, but this one does it beautifully! A nice extra would be a thread tree to raise the spools of thread because metallic thread performs better when it is vertical - the thread performs better when raised as it has more space to unwind and therefore it is less likely to break. I always find the backs of quilts fascinating don't you? 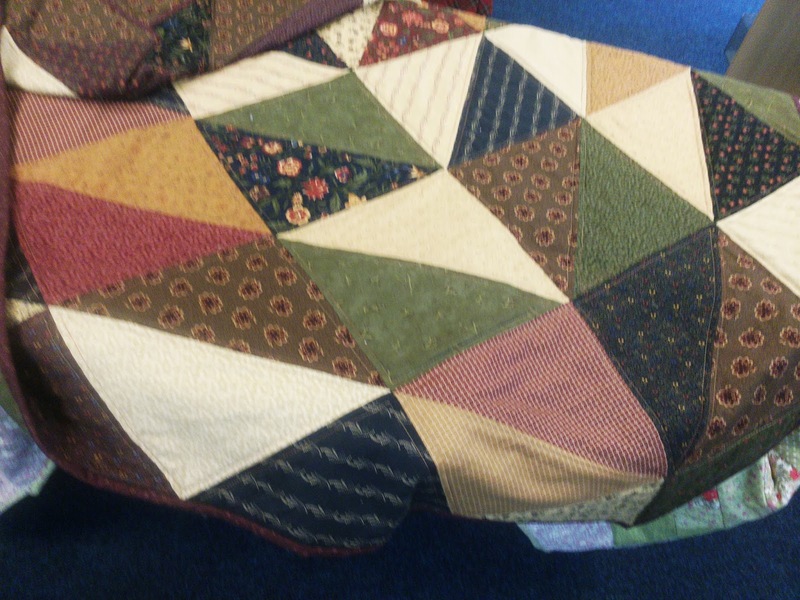 All the quilts I looked at had fabulous backs, with some featuring patchwork on the back as well as the front. 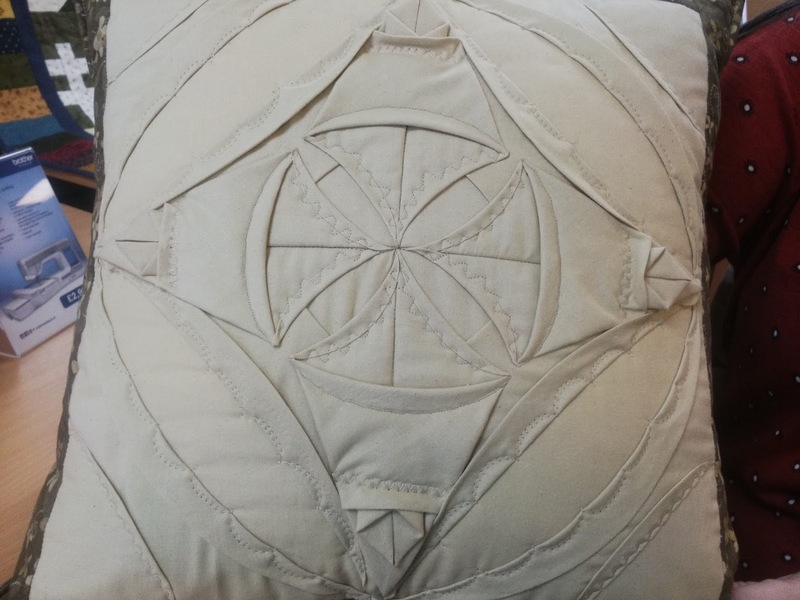 The centre of the cushion was hand stitched which gives another aspect of quilting on the VQ2 in that it can be combined with other methods to produce the look you desire. 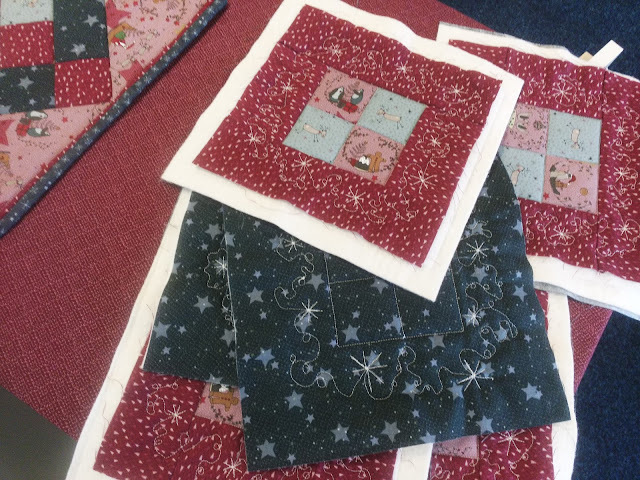 Finally, this quilt was made by Flo and you can actually see it being made on the pictures above. Flo used the Direct Dual feed foot and the fabric sensor and said that she just loves the way that the fabric does not pucker at all. She also reminded me that the machine has extra long feed dogs for superior handling of multiple layers of fabric. I had an amazing day learning about this machine and I hope that you are inspired to contact Jaycotts to ask for more information regarding current prices and to book a few demonstration.